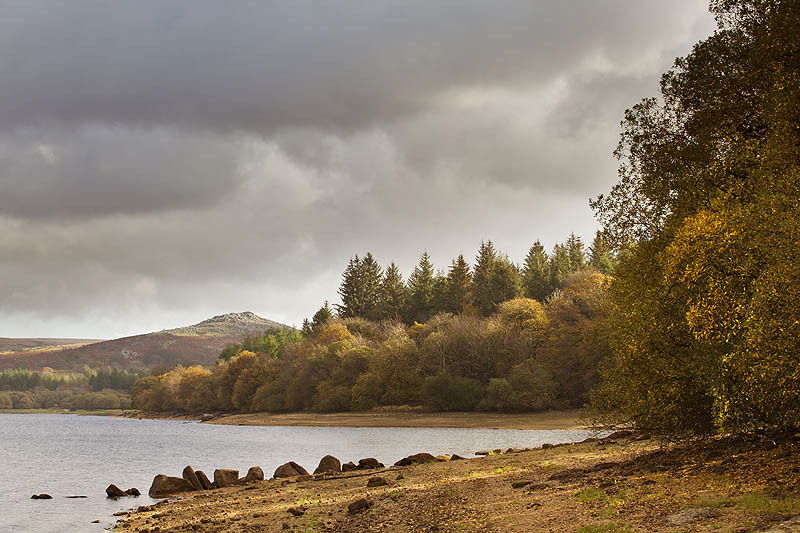 Down Tor at the eastern end of Burrator Reservoir lit up by the sun as a gap appears in the cloud on an overcast morning in November, with the trees along the banks of the reservoir displaying the last of the autumn colour. Burrator Reservoir. Dartmoor, Devon. November 2014.